Sydney JoomlaDay was held at UTS over the weekend, for which Anchor was a major sponsor. It was a great opportunity to mingle with members of the open source community and have a chat. The vibe was great and it was a very productive two days. 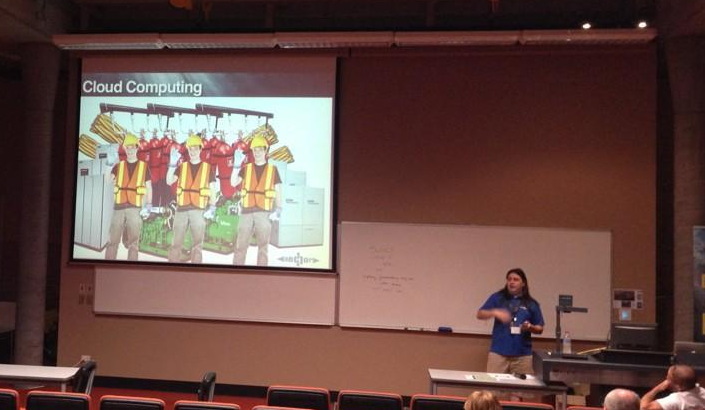 Our CEO Keiran Holloway was also invited to give a talk: “Why Developers Hate Sysadmins”. Thanks to everyone who turned up, it got a good response from the audience. It’s okay, we still love devs. 🙂 DevOps is all about increasing mutual understanding and finding ways to meet in the middle. We’d also like to give a shout to Brenton of my iHub. He’s the winner of our prize giveaway, a fully-managed VPS for a whole year. Congratulations! Hope to see you next time, we’re looking forward to it!